Serengeti National Park, Tanzania’s the second largest after Ruaha National Park, with a total area of 14,763 square kilometers, was voted as the best Safari in Africa by Safari Bookings, the largest online marketplace for African safari tours. The Serengeti park received an overall rating of 4.91 out of 5 stars was rated 16% higher than any other park. The contest results, released in June 2015, included 2,234 users’ reviews from 63 different countries, and 774 expert’s reviews from the most reliable and prestigious guidebook authors as well. Among the reasons that placed Serengeti at the top of the African safaris, it the possibility to see the “Big Five” animals, top wildlife viewing all year round and the rivers full of crocodiles. However Tanzania National Parks Authority’s (TANAPA) Managing Director Mr. Allan Kijazi pointed out in an interview with Turkish state agency Anadolu that the annual great migration of over 2.5 million wildebeest and zebras and the easiness to see predators in live action, were the main reasons why Serengeti came out on top. The endless grass plains that makes one feel the real Africa and the direct flights to Kilimanjaro Airport from abroad, are among other reasons why Tanzania counts with ten destinations in the Top 50 African Safaris, explained Mr. Kijazi during the interview. 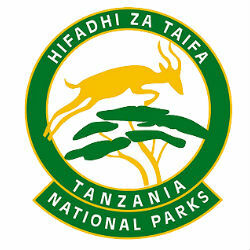 According to TANAPA Serengeti received a total of 336,177 visitors in 2012/2013 which represents more than one third of the total visitors to the 16 national parks in Tanzania.